I’ve tried hard to do what Melissa has done. Go offline, and completely cut myself off from anything even remotely related to technology. While my reasons for cutting the social media umbilical cord are different from the ones Melissa encounters, not to mention her own personal catalyst behind it all, I could appreciate how much she struggles in trying to live a “normal” life while disconnected. It’s nice to see the slow transformation. As though she’s climbing out of some dark hole and seeing the world for the first time, through new eyes. I imagine most of us would feel that way if we did away with our phones and laptops for thirty days. It enables her to make better personal connections with people, lending into the opportunity to meet two men who couldn’t be more different from one another, but fulfill various needs and wants within her. 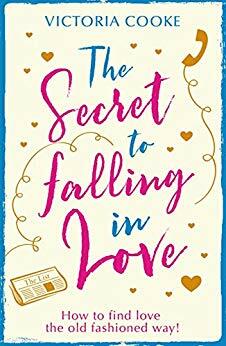 There are a lot of lifestyle choices Melissa makes at the beginning of The Secret to Falling in Love, living as though she’s not a thirty-something. The more time she spends honing her career, and attempting to form relationships with her two potential suitors, it solidifies her friendships and better centers who she is, as a person, putting into perspective what’s really important and what really matters in life. This new perspective allows her better insight into which man is right for her. IF they even are. I’m not sure if I could ever completely go cold turkey when it comes to the internet and my beloved wifi, but I’ve done well in cutting back a ton and remembering to unplug every so often. Melissa learns not only the secrets needed in her own life to fall in love, she learns how to forge the relationships that help to make the person she wants to be, and discovers the person she already is.